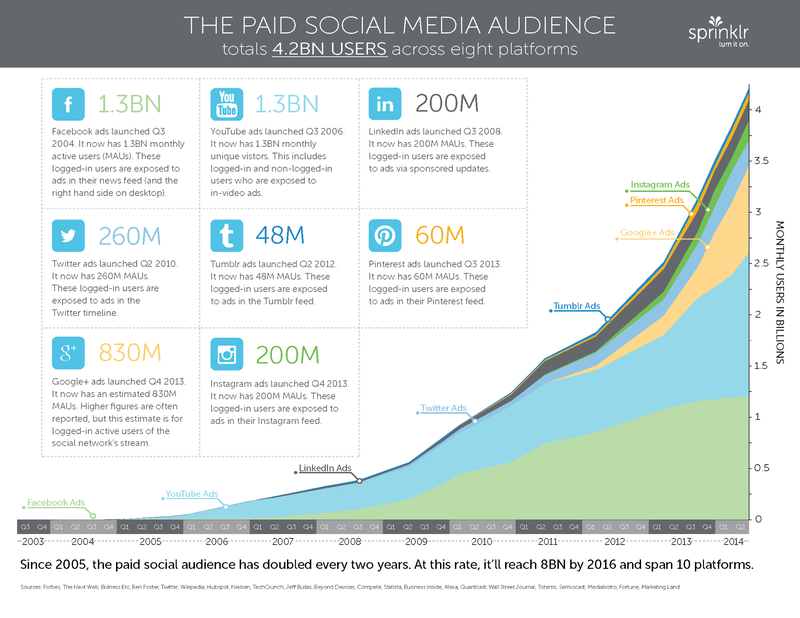 Since 2005, the paid social audience has doubled every two years. At this rate, it'll reach 8 Billion by 2016 and span 10 platforms. Revealed a new study from Sprinklr. The study also shows that the world's top 8 social media sites (i.e Facebook, YouTube, LinkedIn, Twitter, Google+, Tumblr, Pinterest and Instagram) have 4.2 Billion active user profiles combined. Which is a huge audience to push your business to. 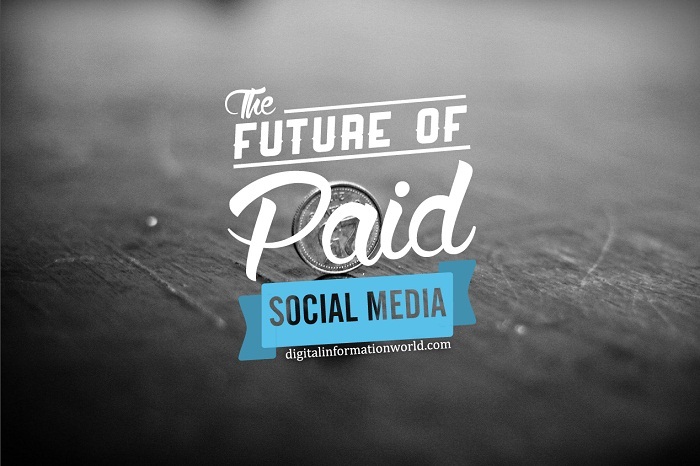 This infographic takes a closer look at what the paid social landscape looks like and where it's headed. Facebook ads launched in Q3 2004. It now has 1.3 Billion (BN) monthly active users (MAUs). The advertisement appears in the user's news feed and right sidebar on Facebook. YouTube ads launched in Q3 2006. It now has 1.3 BN monthly unique visitors. This included logged-in users and non-logged-in visitors who are exposed to in-video advertisement. Google+ ads program launched in Q4 2013. It now has an estimated 830 Million active user. Currently Google+ is an ads free platform. However brands can promote their Google+ posts/content on Google Display Network.